With the recent warm temperatures in West Michigan spring is on everyone’s mind. With that, steelhead fishing is back. After a long winter of deep snow and polar vortexes the cabin fever can be broke by hitting the rivers. Here’s our fishing report. 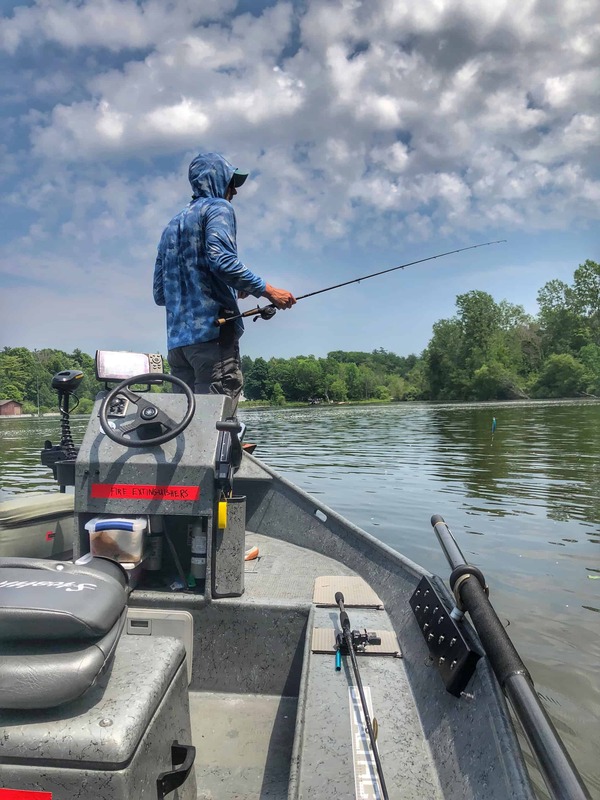 After the recent flooding event in West Michigan, over the past few days we’ve been able to get out on area river to do some fishing. Depending on the day, fishing has been good, but a lot of these fish are still dark, hold overs from winter. We have seen a few chrome ones mixed in, which is a sign that our spring push of fish is just about to arrive. 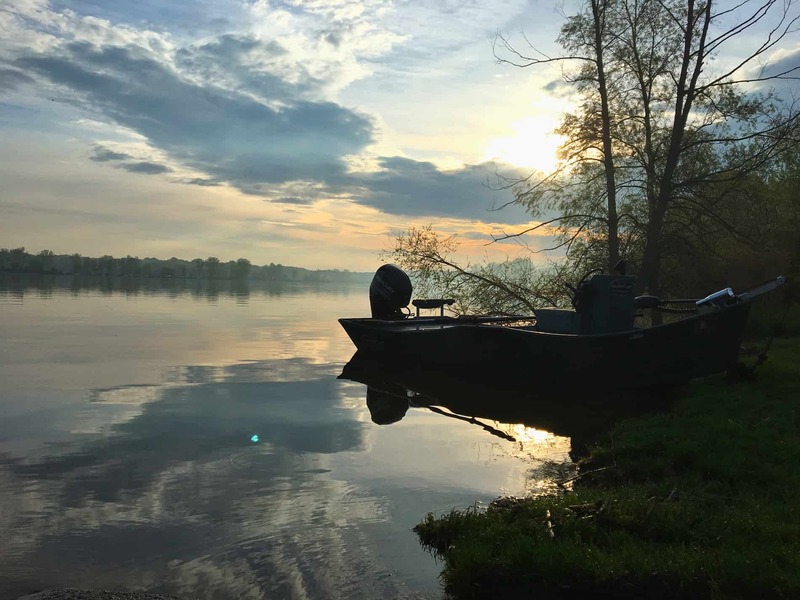 As the water slowly starts to drop and water temps start to rise into the lower 40’s, the fishing will be getting better and better. Lately, we have been targeting both spring spots such as buckets and pockets behind good gravel. In addition, we are also targeting the deeper runs and winter holes. We have been finding fish in both areas but most are they are still in deeper runs. With the first fish of our spring run showing up a lot of these fish have spawning on their minds. That means on thing, eggs. Try using 8mm and 10mm beads as well as egg flies. Colors such as glow roe, peachy king, and peach roe have been bringing fish to the boat. In the higher flows like we are currently seeing, we like running a bit larger floats. 11-15 gram floats with a shot pattered to match the float accordingly. This will slow your drift down a bit more to give the steelhead a chance to see your presentation. If you haven’t check out our short film on “Gifts of the Grand” here it is. 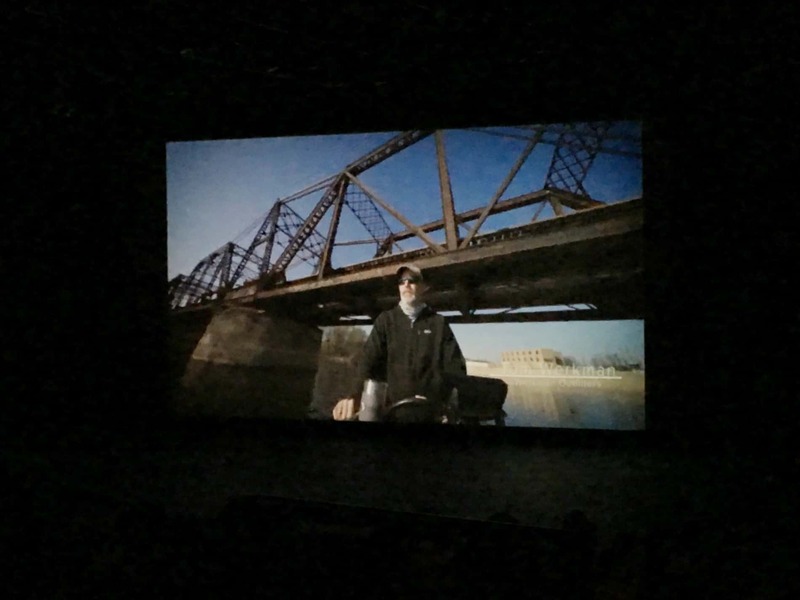 We partnered with Experience Grand Rapids and Aaron Peterson Studio to showcase the environmental comeback and fishing opportunities that exist on the Grand. 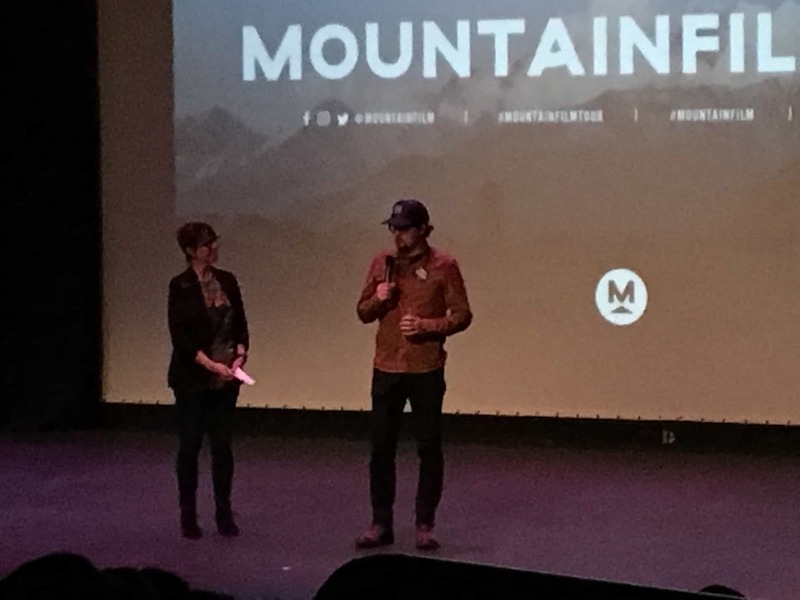 The film was shown at the Mountain Film Festival in Saugatuck this past weekend. Remember to use caution while wading in fast water and while on gravel. Leave spawning fish alone to do their thing so they can make more wild steelhead for all of us. This is the Grand River fishing report as of December 2018. Colder than normal temperatures were the story for the first half of December. As a result this has put the steelhead into their winter mode on the Grand River. The steelhead numbers are somewhat down from previous years but the fish seem bigger. The water temperature has been cold, mid 30’s and somewhat stained. Slow things down to get the best response to your presentation. Remember, look for the slow water and the deeper runs and holes. You’ll need to float your drift numerous times through, as the fish are sluggish right now. Currently, the only method we’ve been using right now is float. Our main line has been 12 lbs mono dropping to an 8 lbs leader and in some instances 6 lbs. The reel has been a Daiwa 4000 series with a 10’ 6” Okuma SST rod. Try using beads in various orange colors along with chartreuse and mix it up between the 12 mills and the 10 mills. Remember, if your using 12 mills you should use a #4 hook. Use a Raven 11 gram bobber. 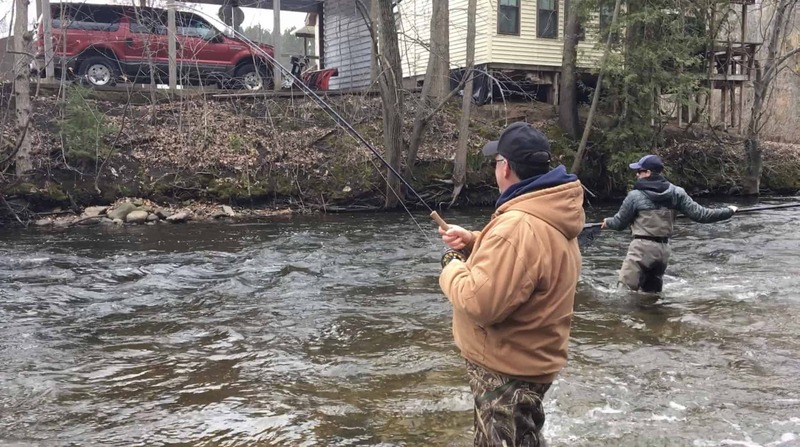 If the steelhead feel any resistance when they grab, they’ll let it go. However, if the runs are short try the chuck and duck method. This will get your rig down quicker to where the fish are than a float rig normally would. If you’re going to use flies, use larger egg patters with some color along with larger stoneflies. A warmer than normal weather pattern is setting up for the rest of the month, along with some rain this week. As a results, the water temp will warm up a bit and this should send some fresh fish up. With that said, keep using the same techniques. Don’t be afraid of the cold, this is a great time of year to fish. Low pressure and if you put in your time you’ll be rewarded with big fish.